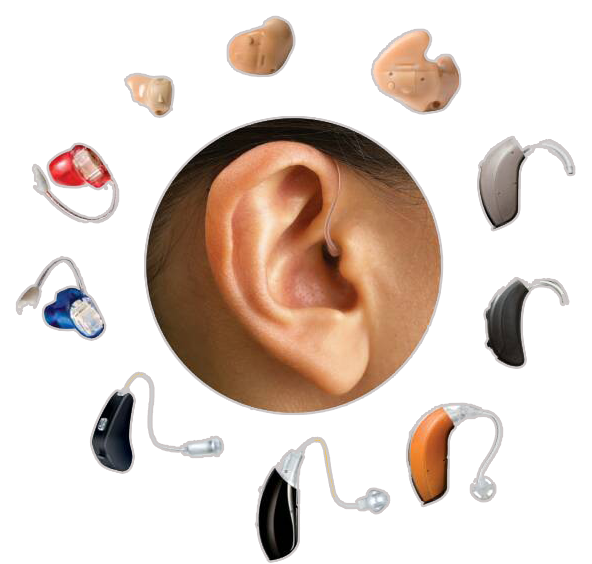 Choosing the right hearing aid is not easy, but it is very important that you are motivated to wear one. We emphasize that for proper functioning and vitality of the brain it is absolutely necessary to wear a hearing aid if needed. Elderly people who do not hear well cannot look vital, no matter how much they take account of their personal appearance. People talking to hard-hearing persons soon notice that the latter do not hear them, and this can quickly effect the picture they have about them. Therefore do not avoid to wear a hearing aid thinking it makes you look older, because this will exactly be the case if you do NOT wear one. Before your physician prescribes you a hearing aid, a complete ENT examination has to be carried out, followed by timpanometry with reflexometry and hearing examination, so-called Tonal Liminar Audiometry. After diagnosing the kind of hearing impairment, the proper hearing aid may be chosen. We emphasize that the above mentioned examination is absolutely necessary, to avoid that a patient who has some process in the nasal part of the throat (near the Eustachian tube) and a problem in the middle ear which needs treatment, gets a hearing aid.